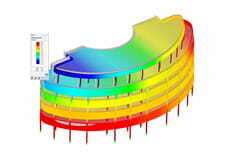 How can you create cross-sections with holes along the x-axis in RSTAB or RFEM? With the module DuenQ you can create any cross section. 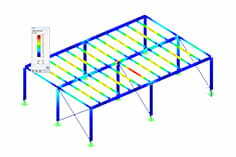 Otherwise in RSTAB / RFEM you can only work with parameterizable cross-sections and then set up parallel bars. Figure 1 shows a small example.